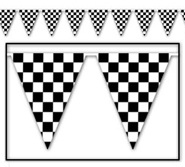 Beautify your table with this Checkered Flag Mini Cascade Centerpiece table decoration. 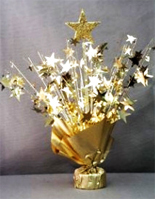 The centerpiece is 7.5″ tall and made with metallic and board stock. 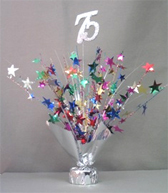 Checkered Flag Mini Cascade Centerpiece. 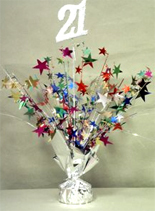 This centerpiece has black and silver metallic sprigs that shoot out from the center. 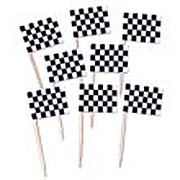 Checkered flags made of board stock are at the end of the silver sprigs. 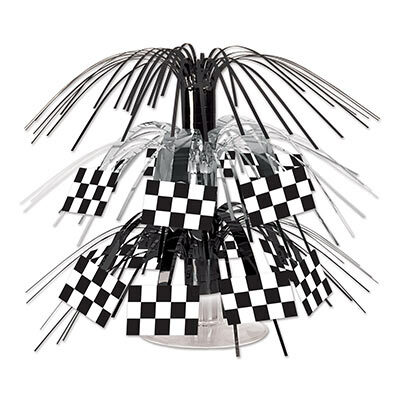 Excite your tables with this checkered flag cascading centerpiece. 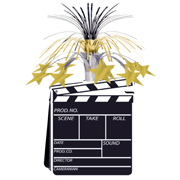 This will draw attention to all the wonderful work you put in to making everything work together.